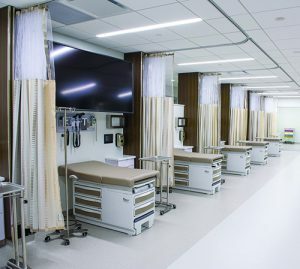 The University of Tampa has a new six-story academic building that houses the nursing program and the program in physician assistant studies, which is still in development. 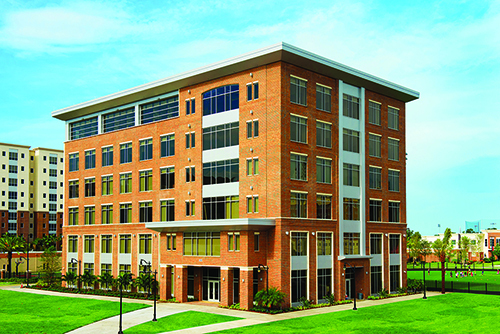 The building is home to UT’s office of admissions, classrooms, health sciences labs, study spaces and faculty offices. The Graduate and Health Studies Building was on what was previously the intramural field in the center of UT’s campus, just east of Pepin Stadium. The building blends with the architecture of UT’s campus, with red brick, precast concrete, metal and glass. It offers panoramic views of campus and downtown Tampa. At 90,000 square feet, the building is UT’s largest academic building.